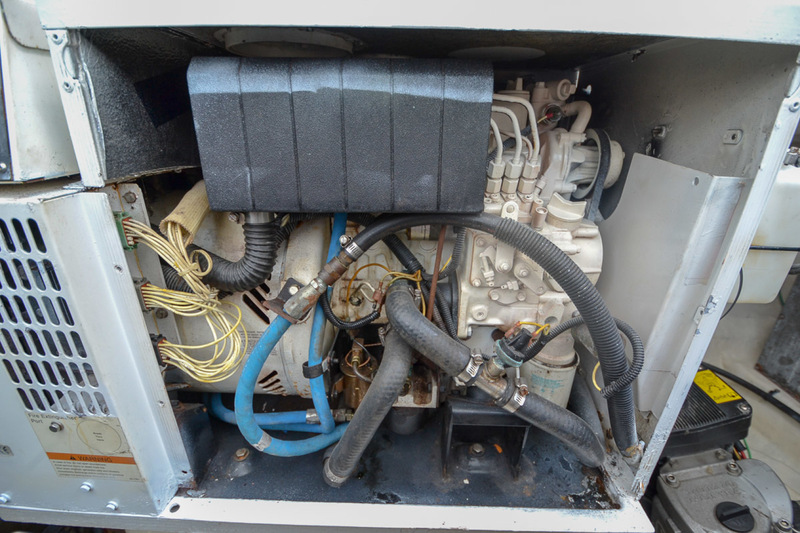 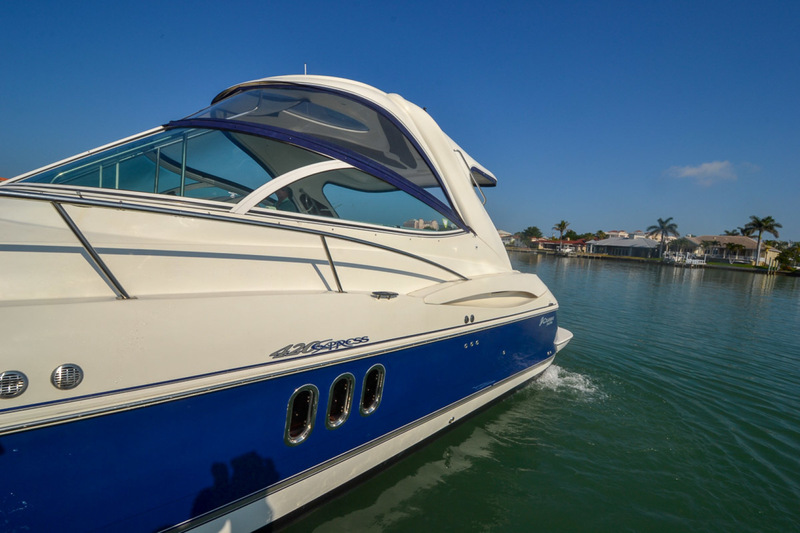 The Cruisers 420 Express just had the IPS full service, bottom paint, detailed and annual services with only 625 hours and original owner. 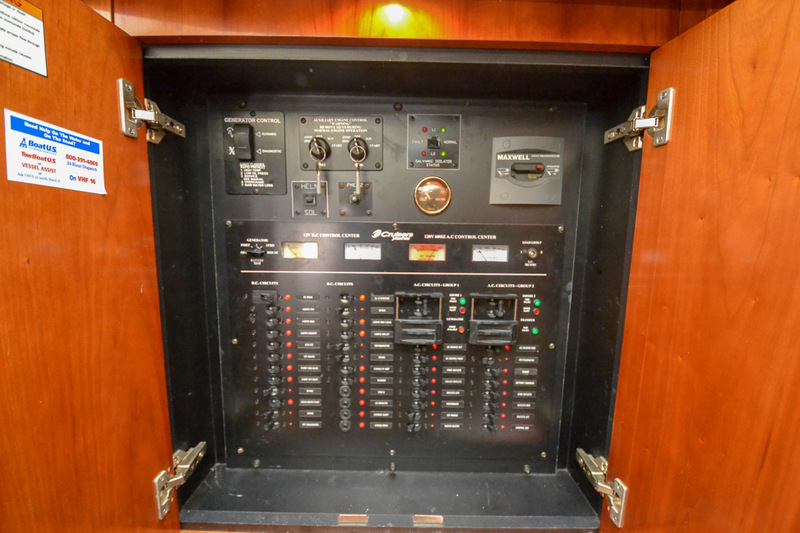 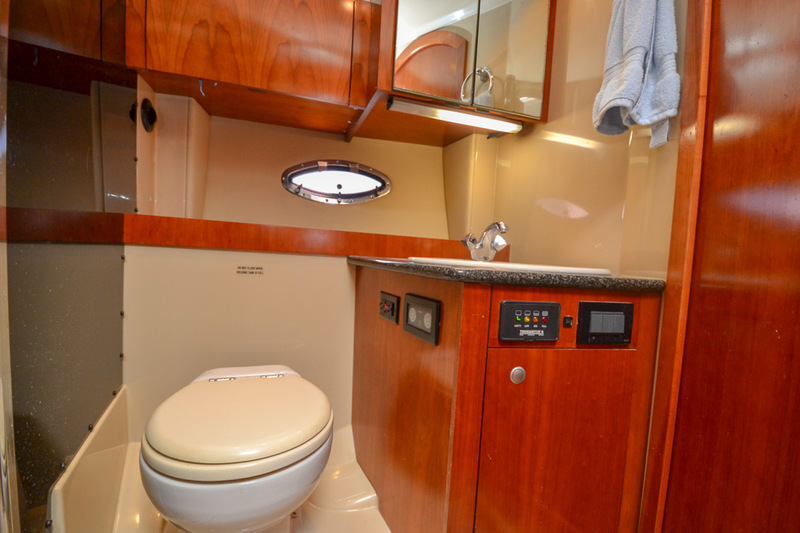 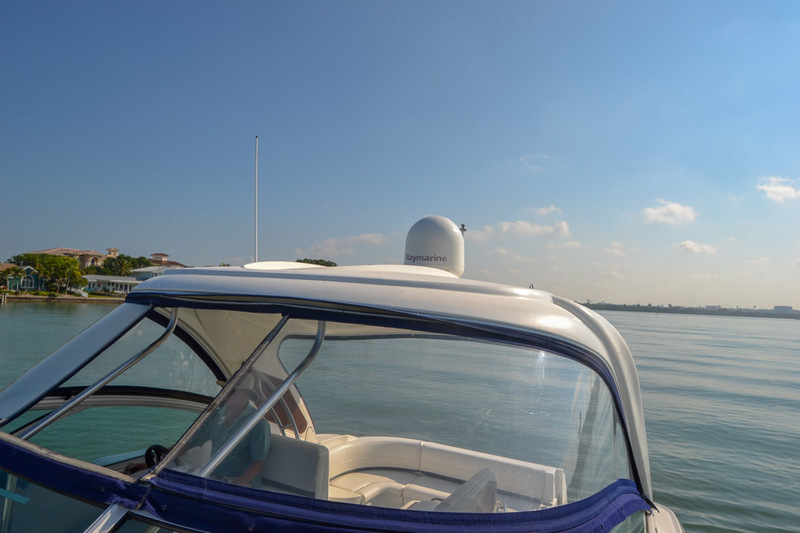 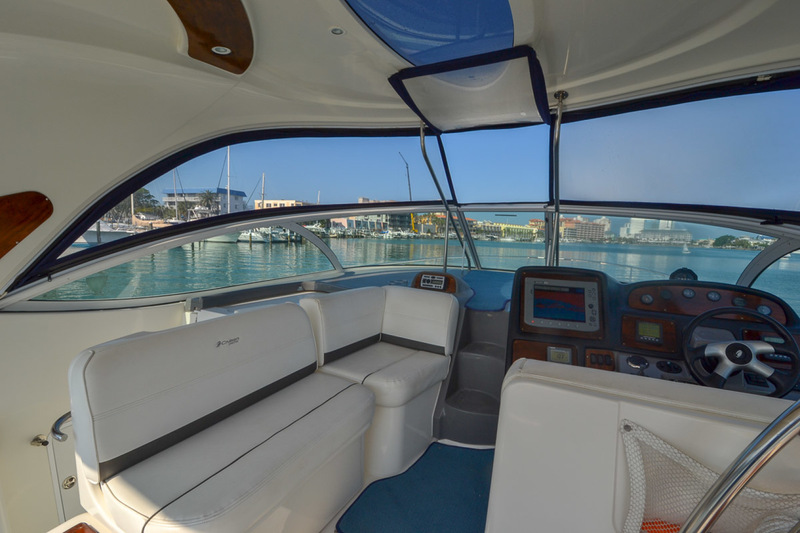 This 420 Express is a sleek and stylish express cruiser that combines a spacious cabin layout with a comfortable cockpit and excellent performance. 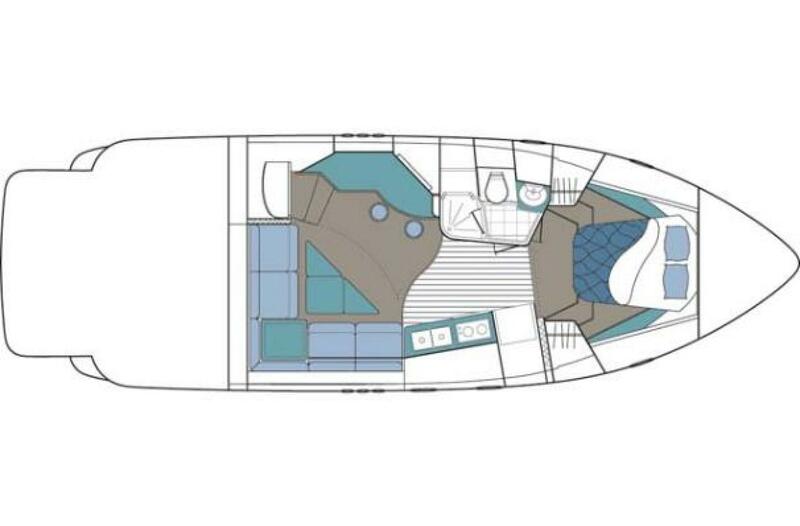 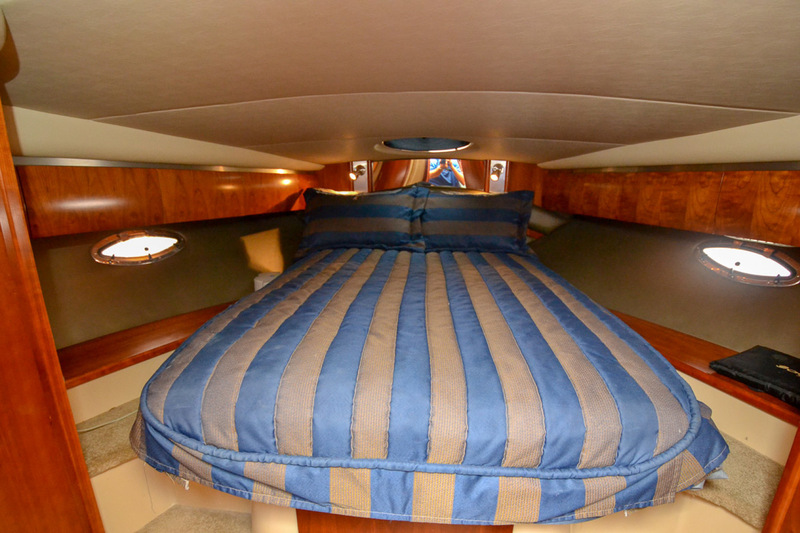 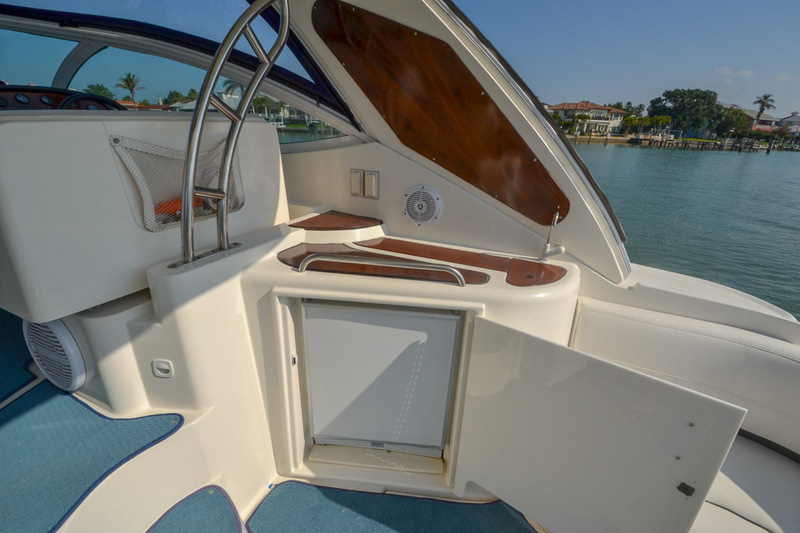 A hardtop shades the entire helm deck, and an integrated swim platform, sunlounge/table, cockpit shower and refrigerator offer the open air amenities expected in a quality family cruiser. 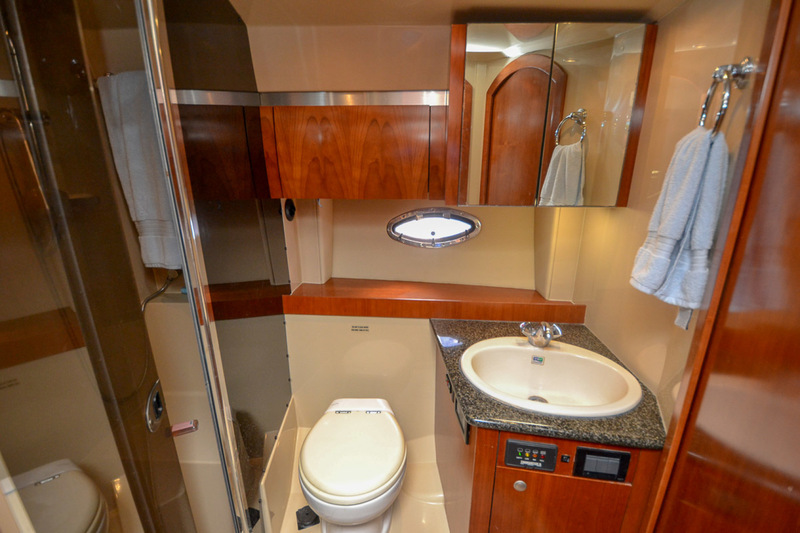 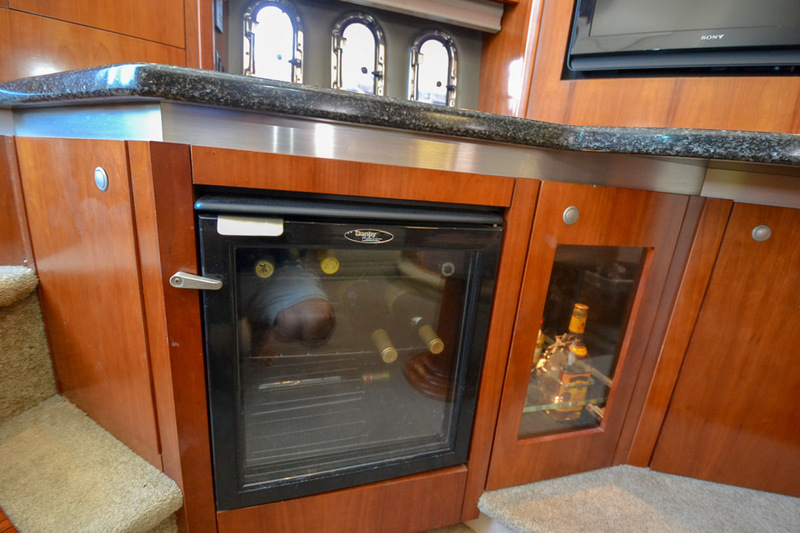 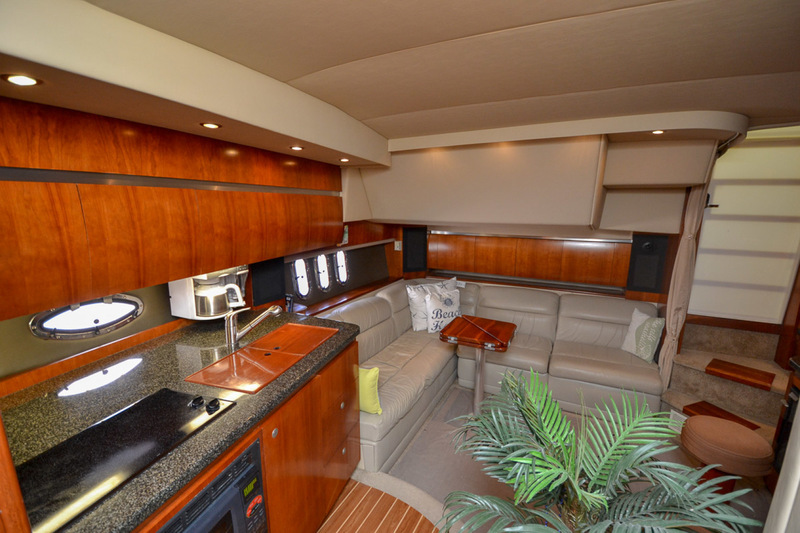 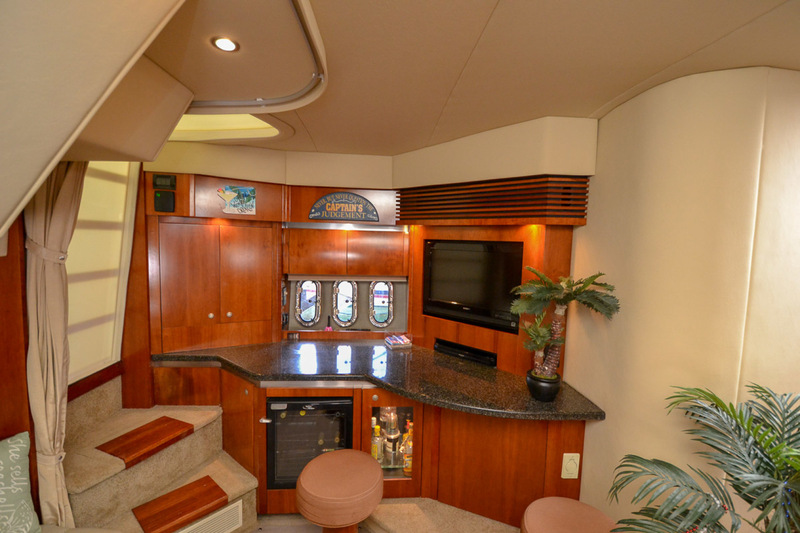 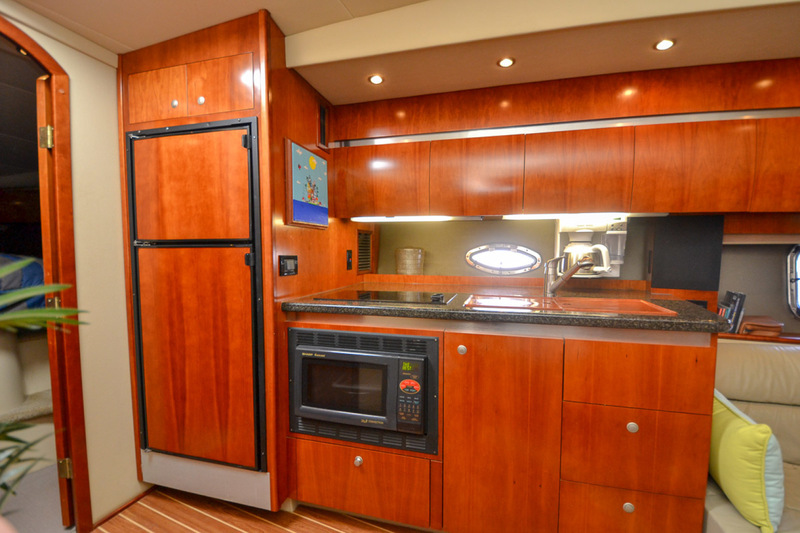 Below deck, the natural cherry wood interior, premium furnishings and lofty 6'5" headroom of the 420 Express create the perfect environment for entertaining. 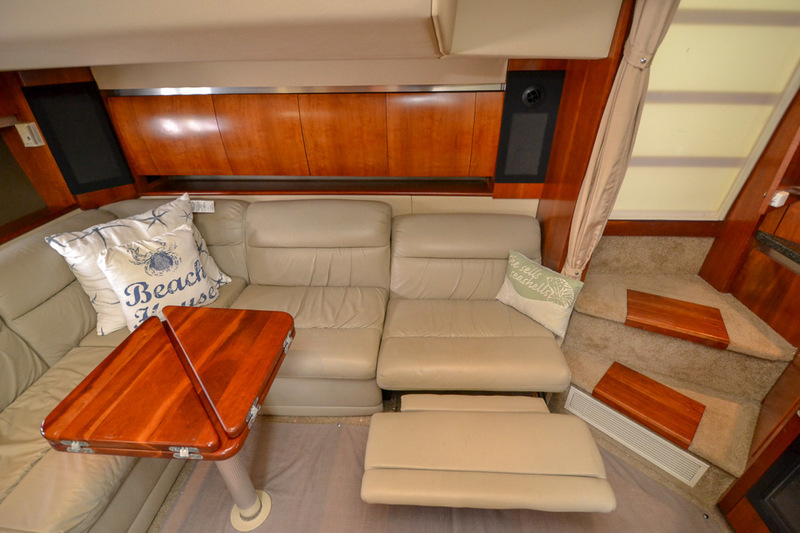 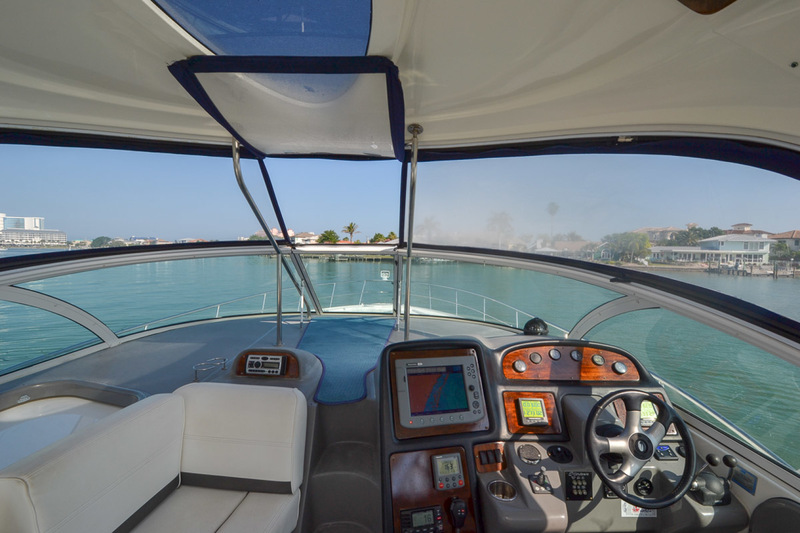 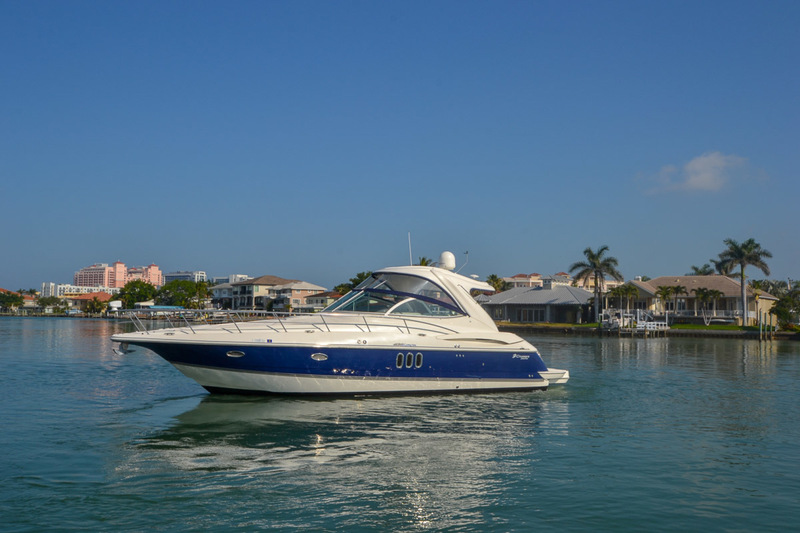 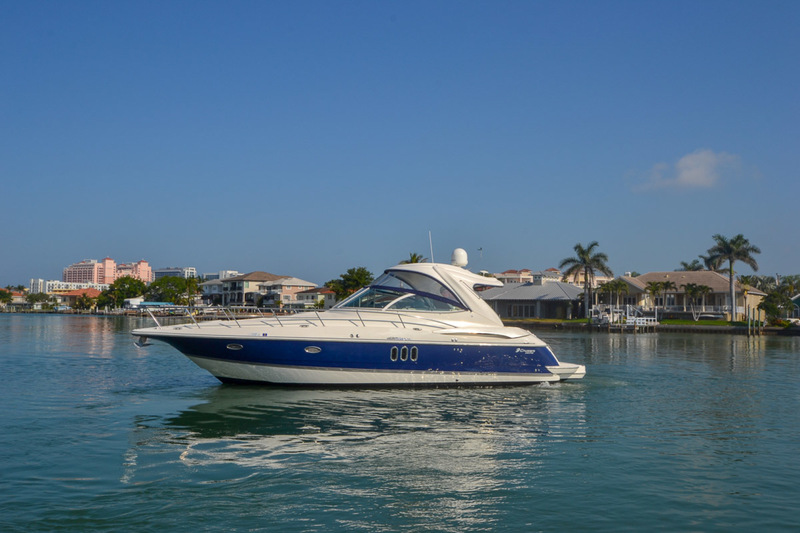 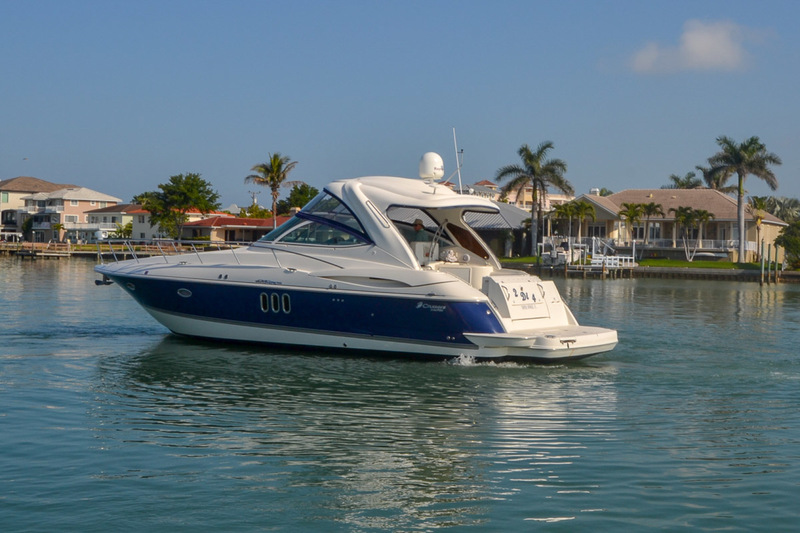 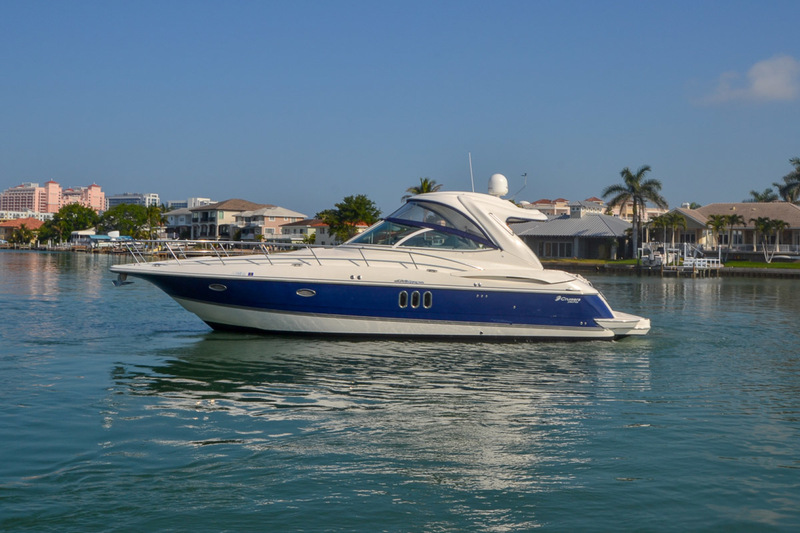 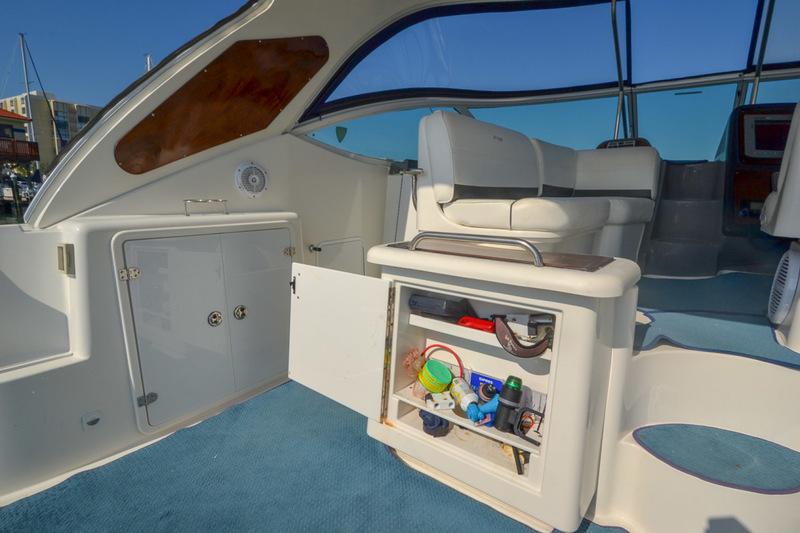 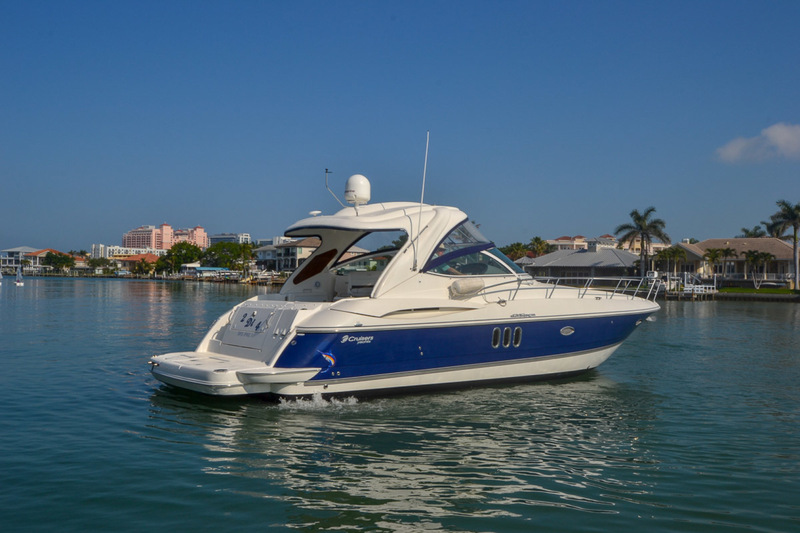 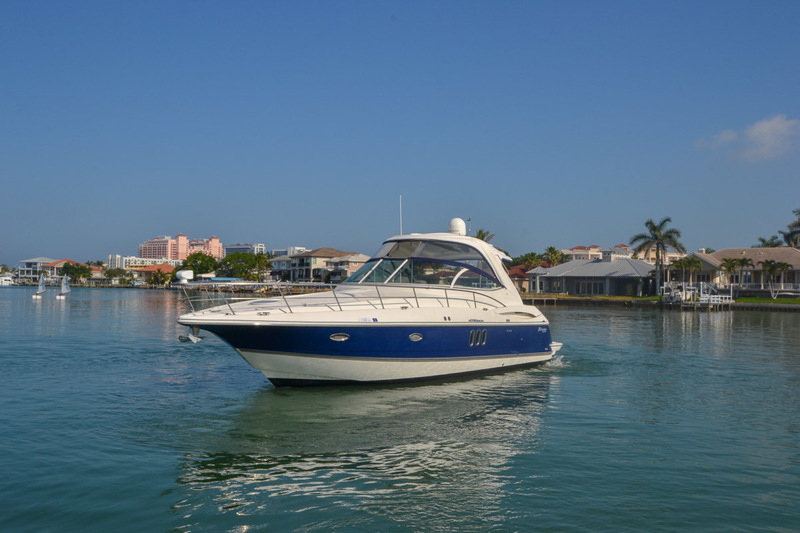 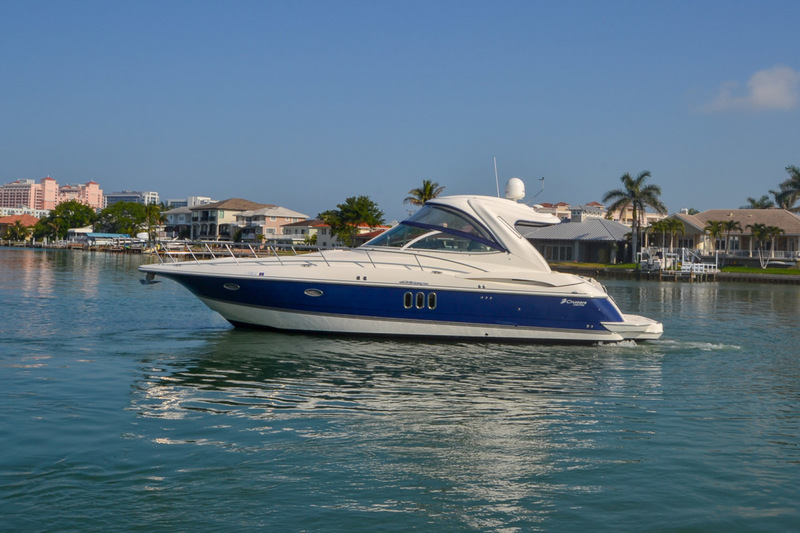 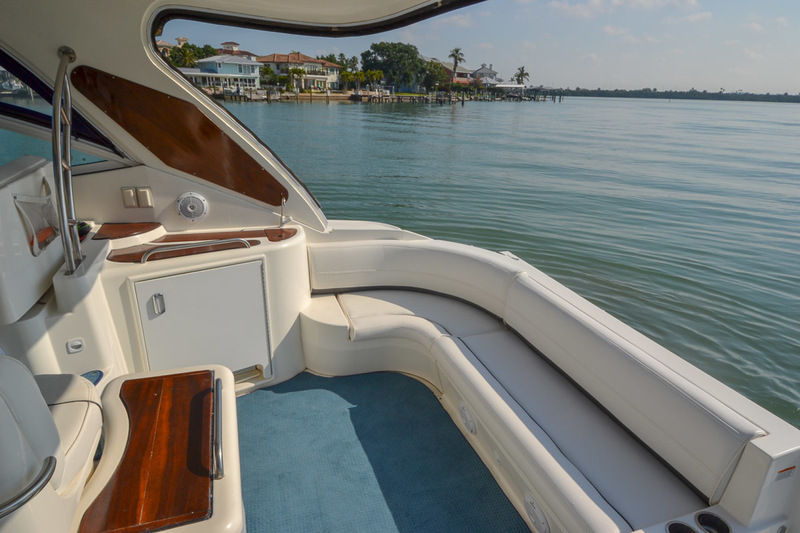 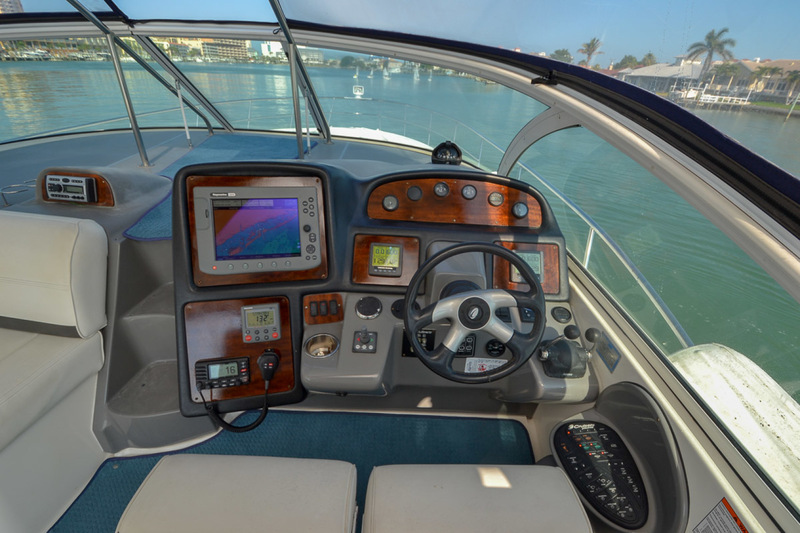 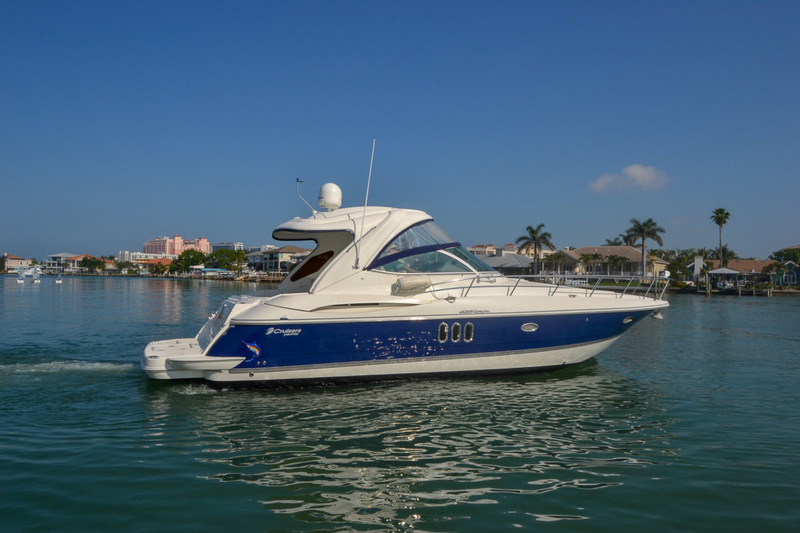 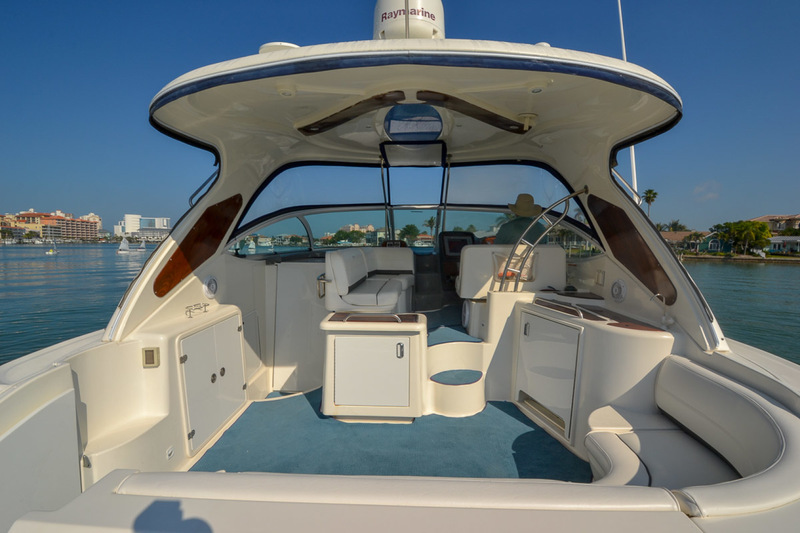 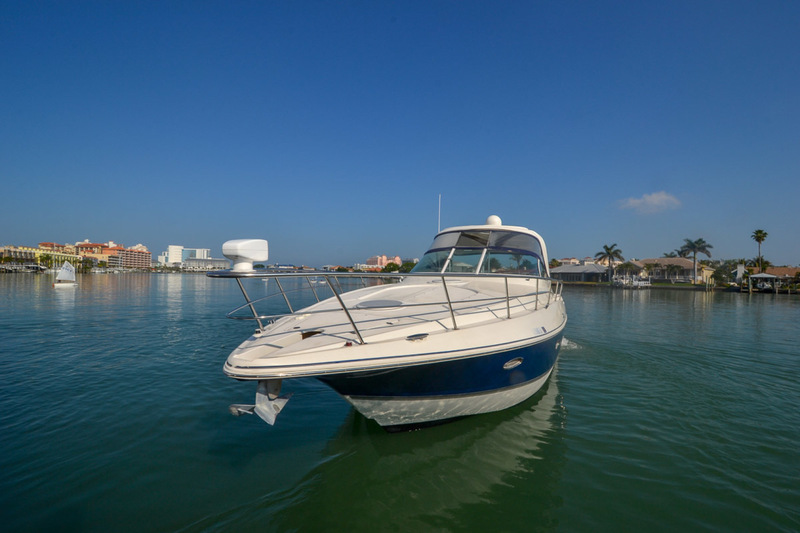 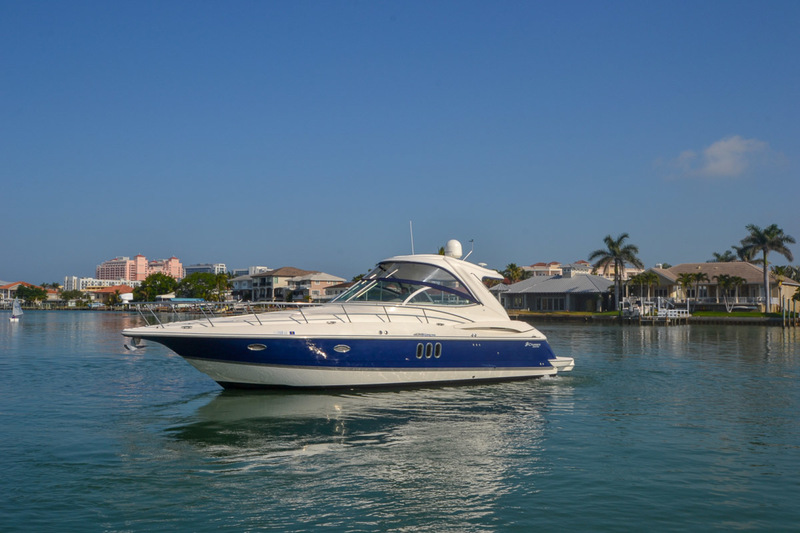 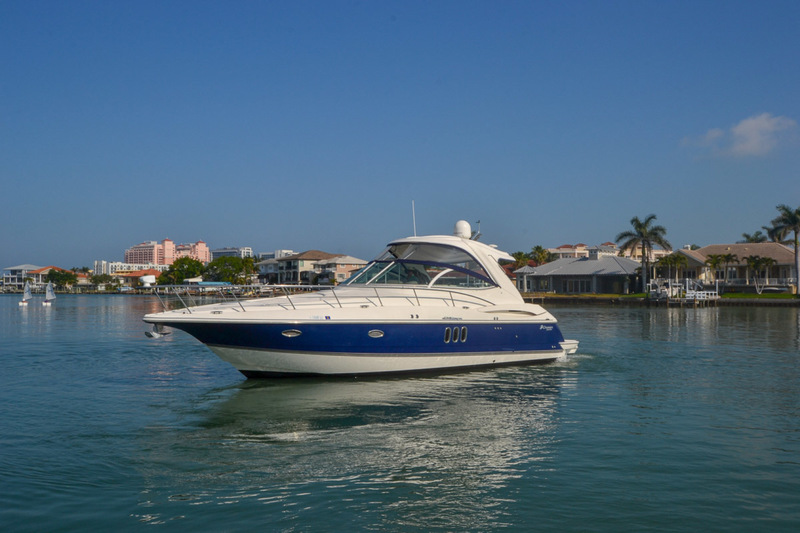 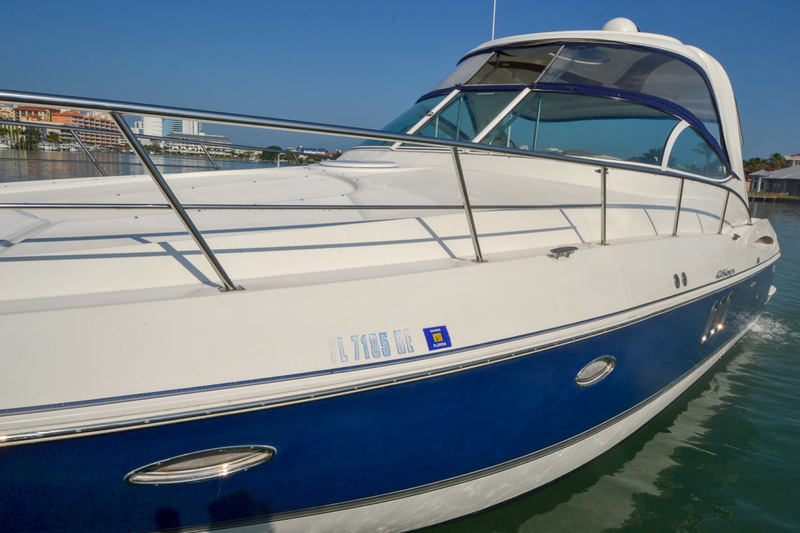 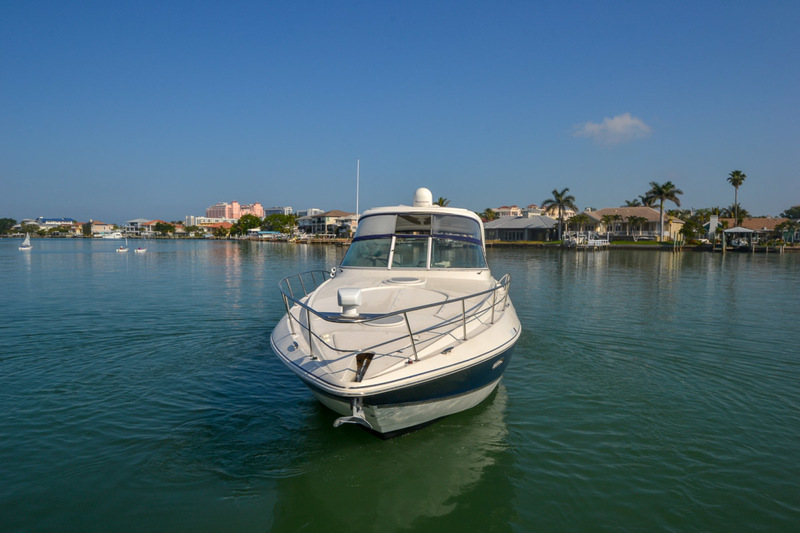 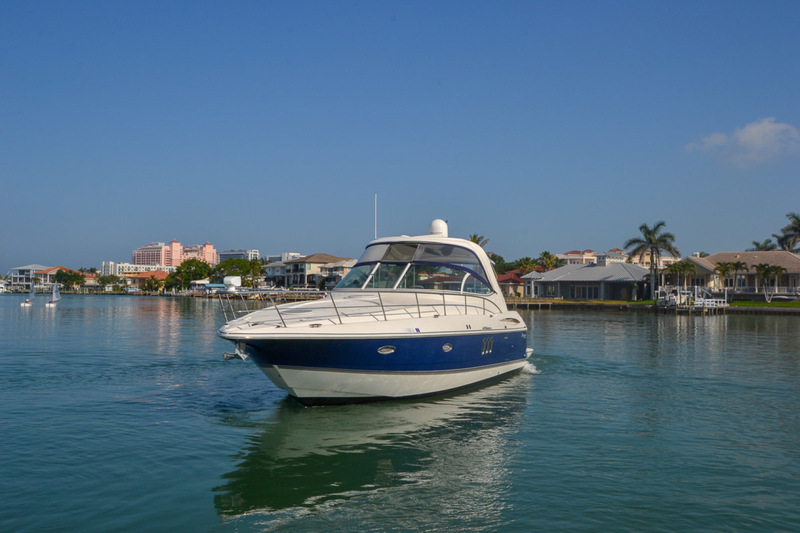 This Cruisers Yachts offers ample seating with two recliners and a sofa to starboard. 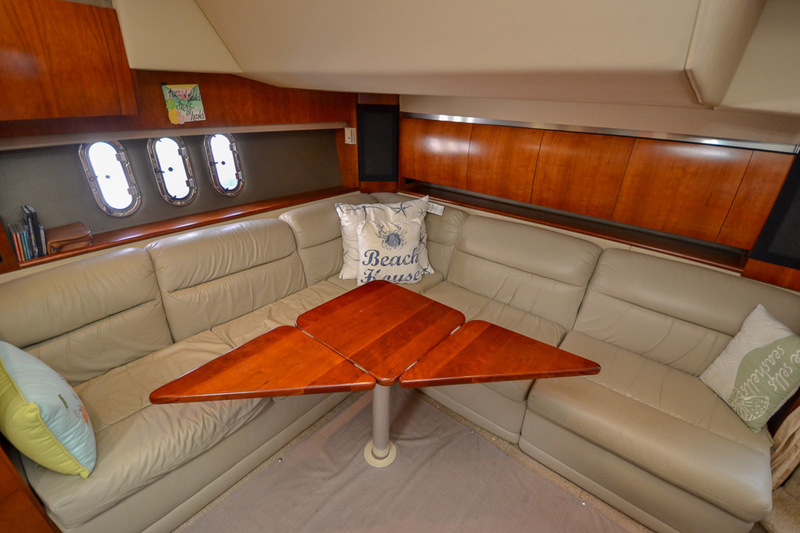 The bulkhead partition to the master makes for a peaceful owners retreat. 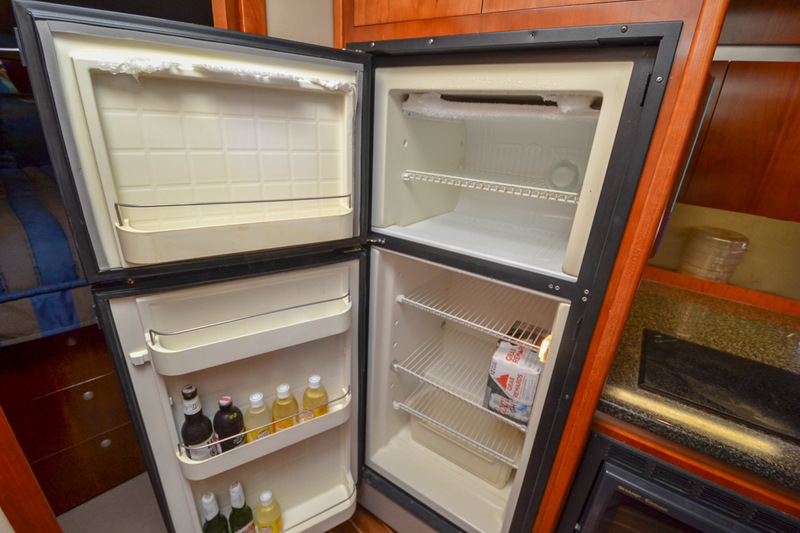 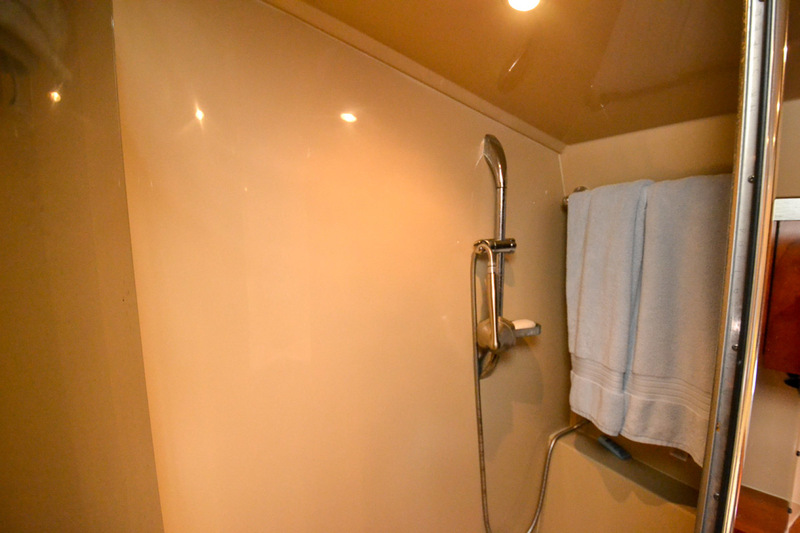 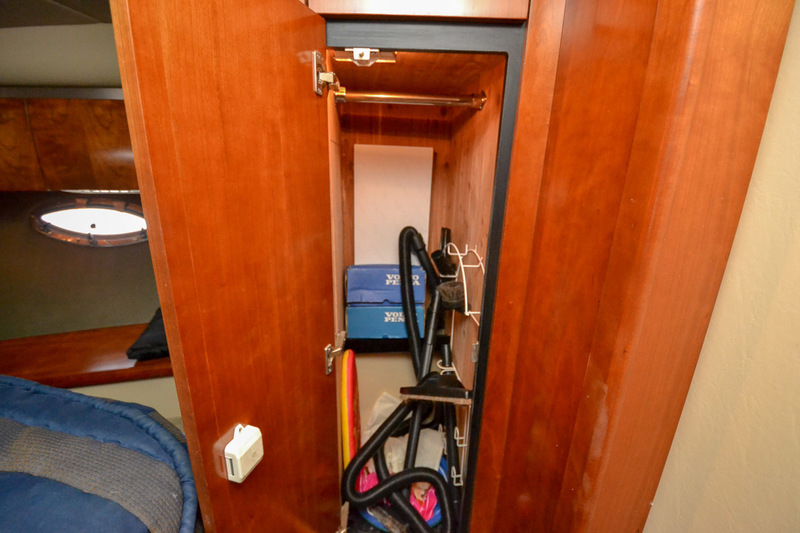 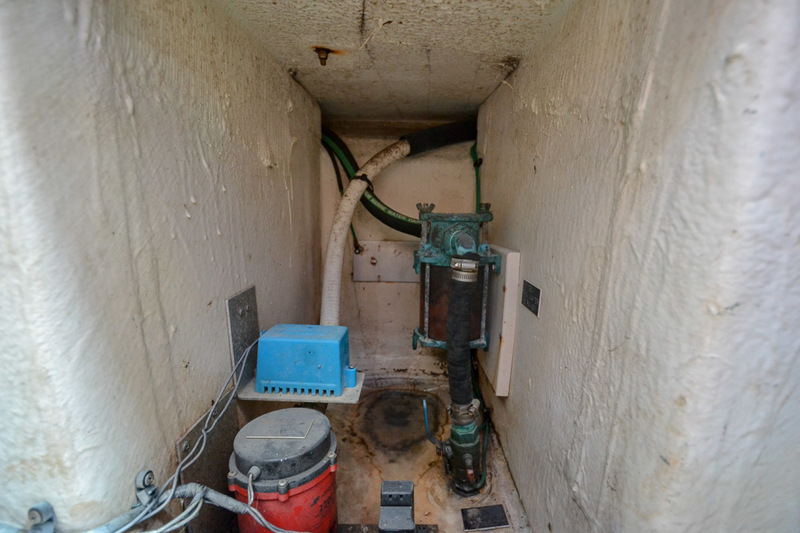 The private stateroom forward island queen berth and one full head with separate shower. 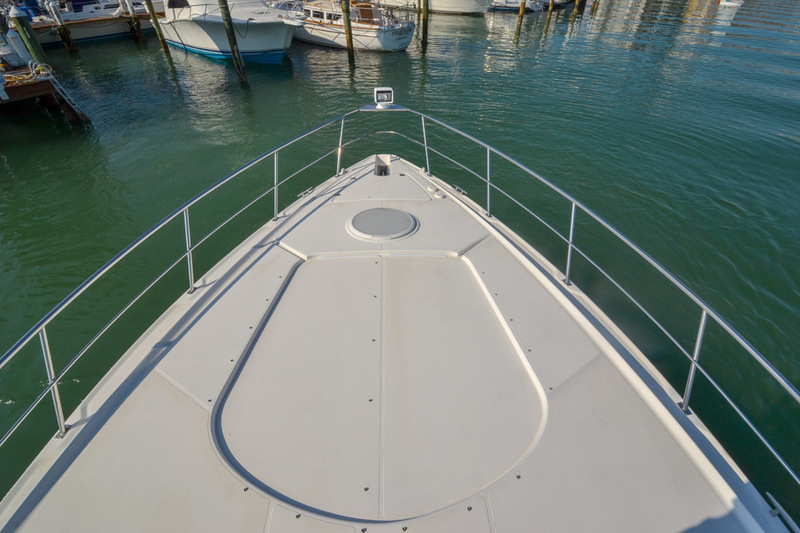 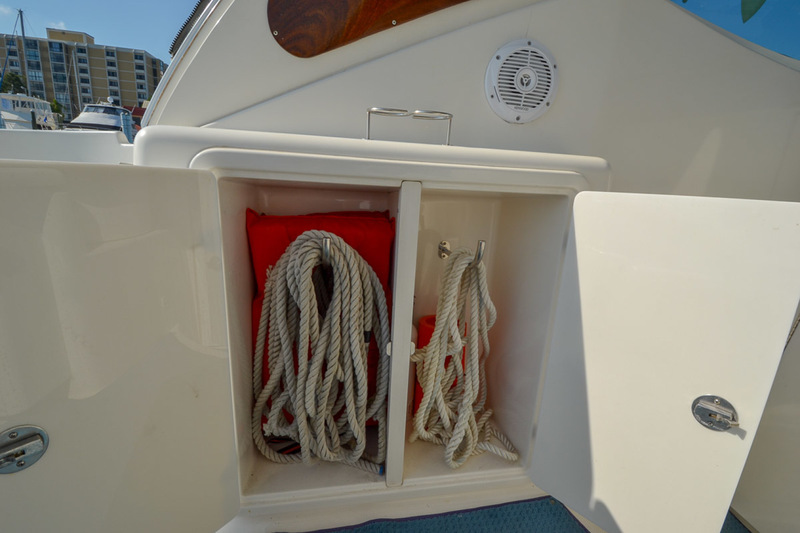 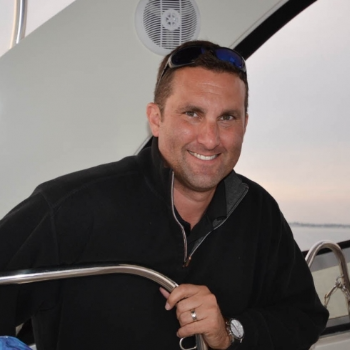 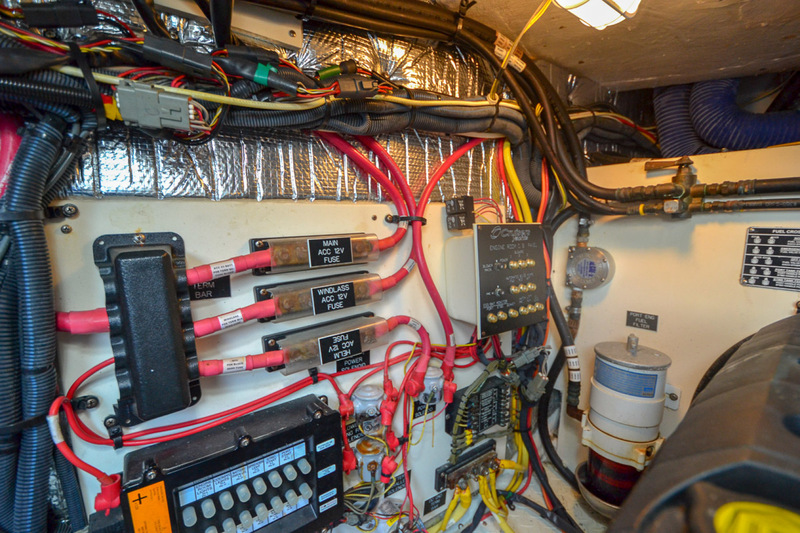 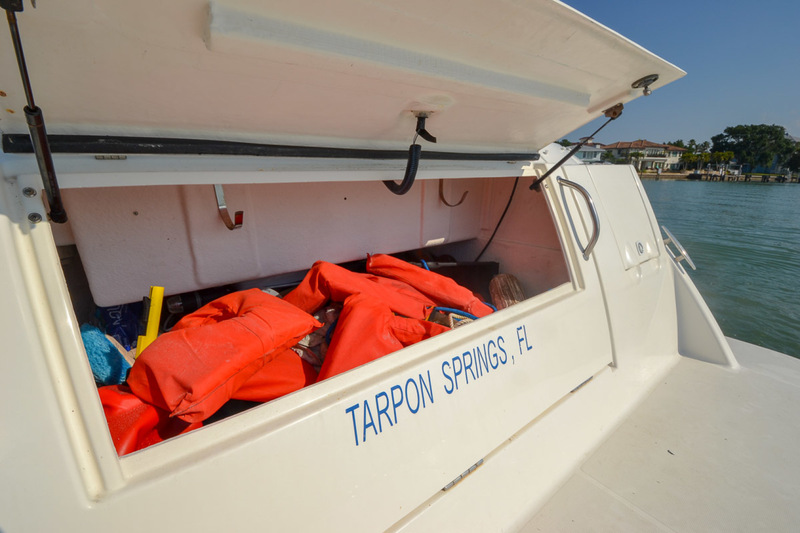 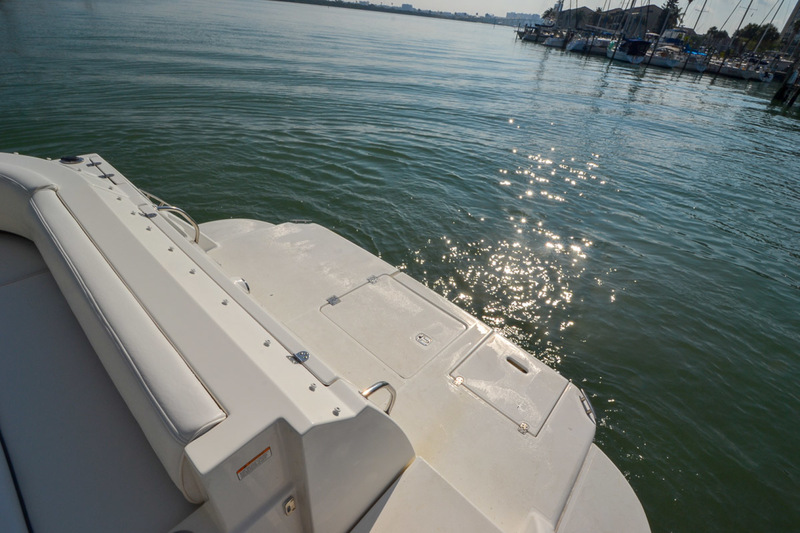 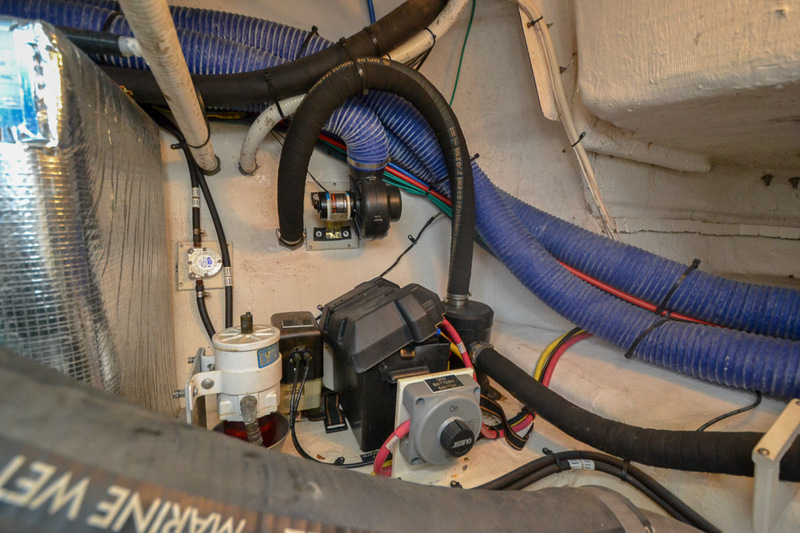 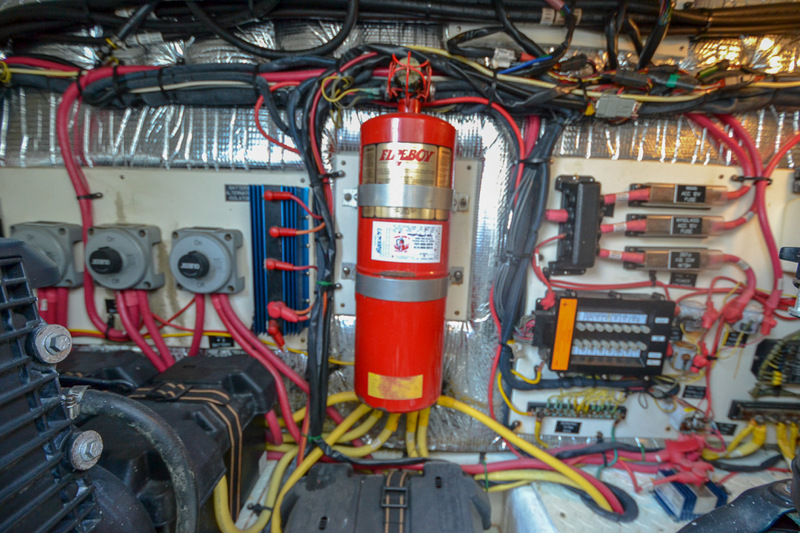 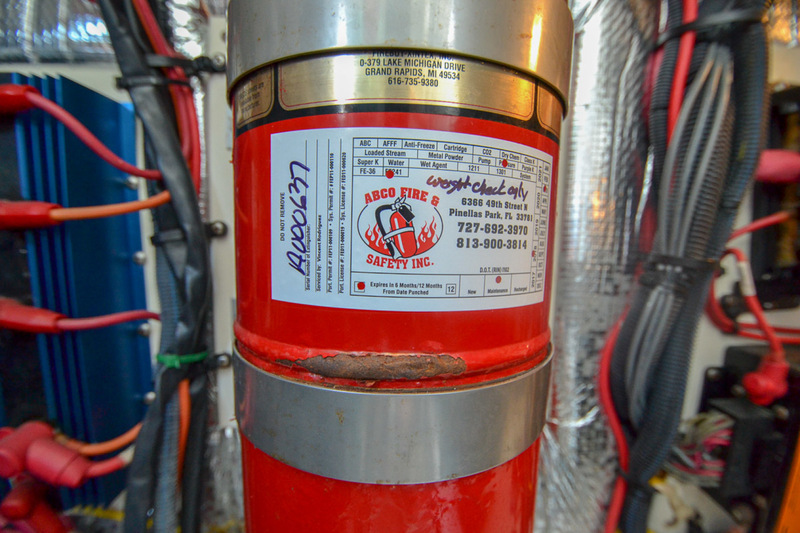 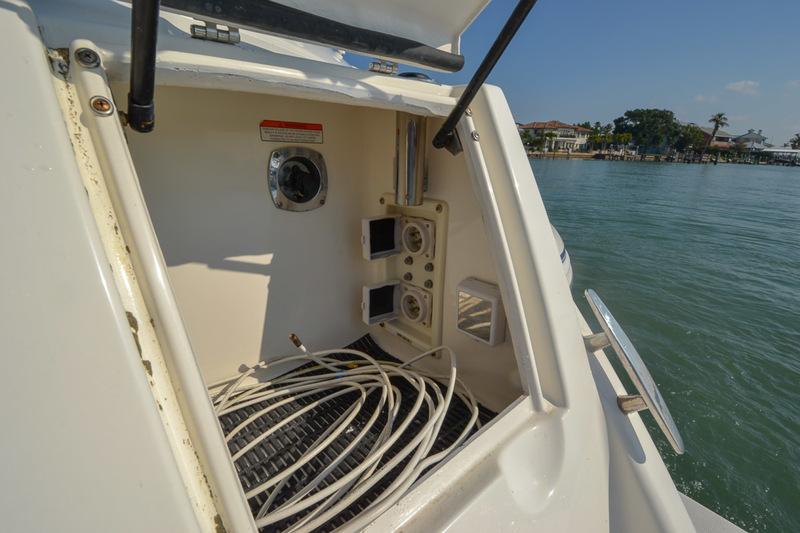 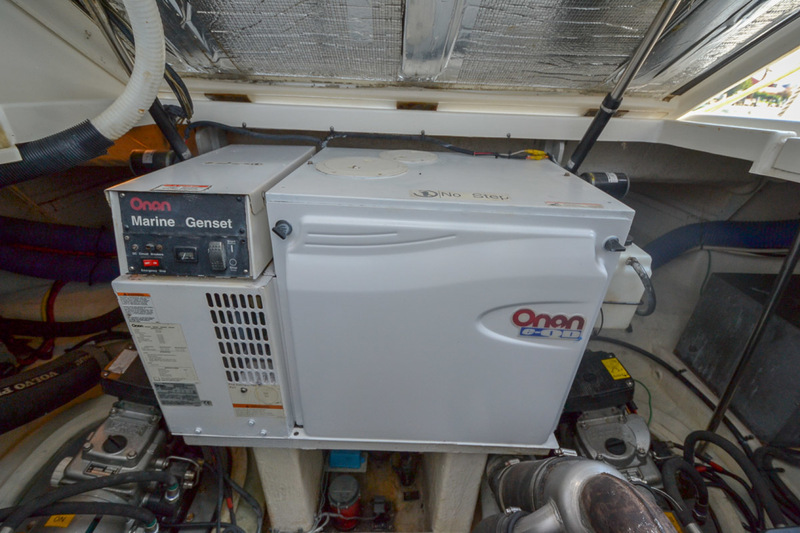 Topside, a walk-thru windshield provides easy access to the foredeck sun pads and windlass. 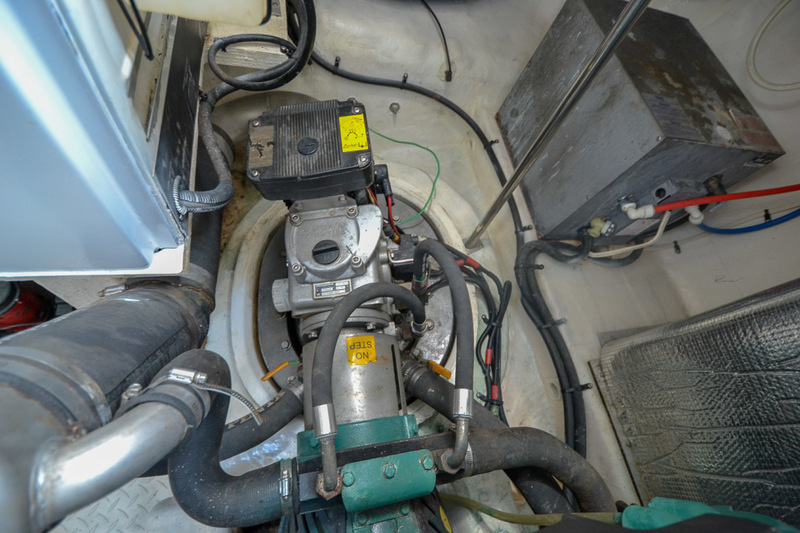 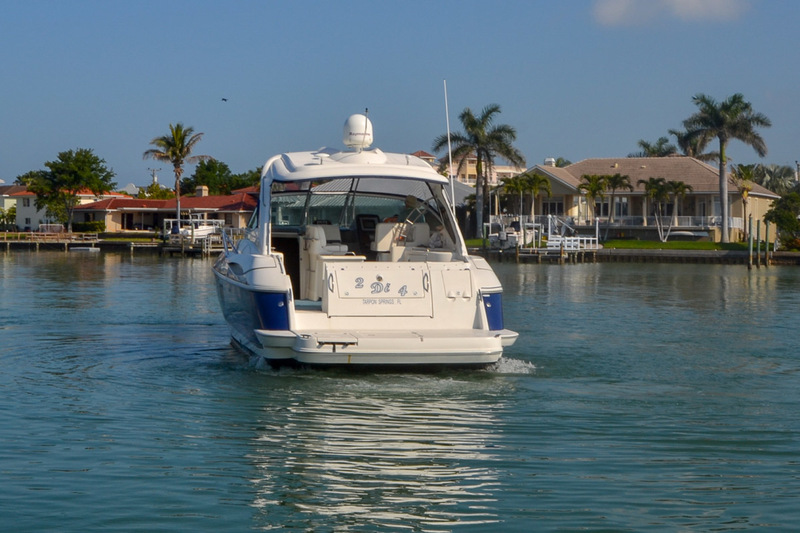 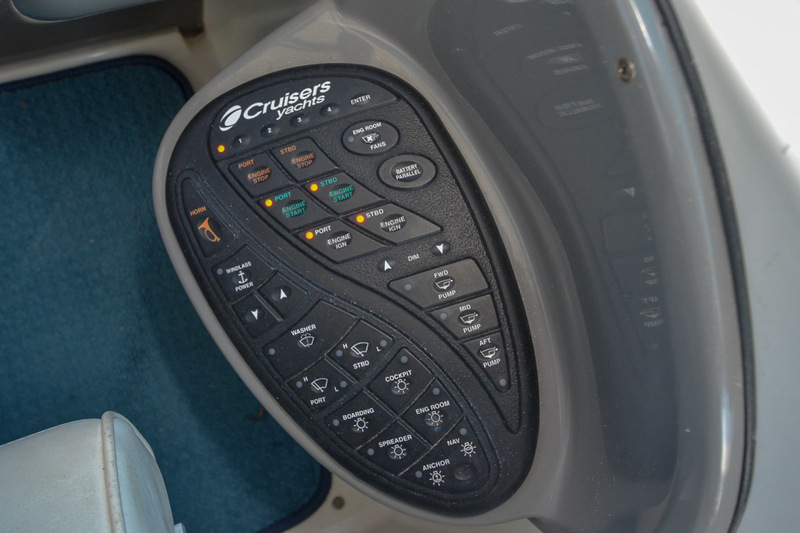 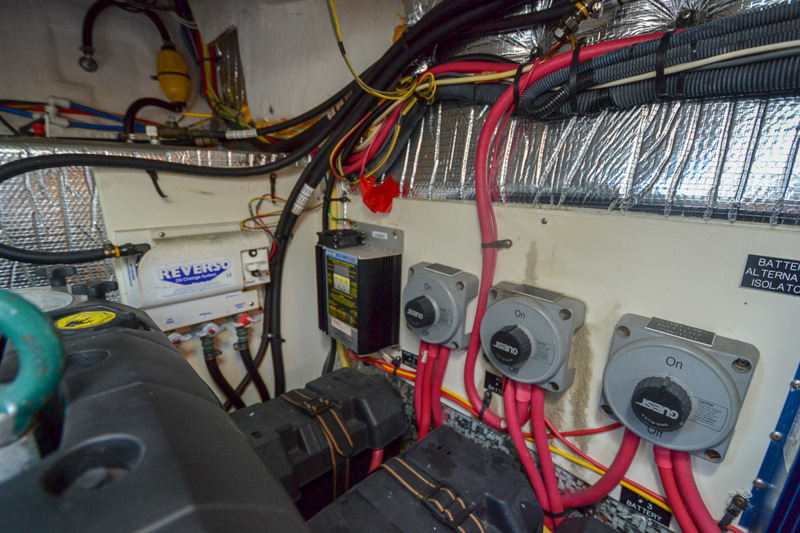 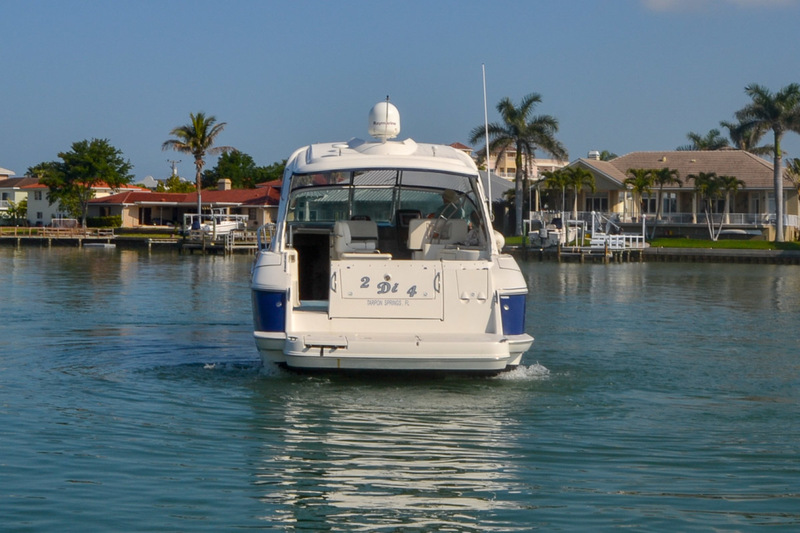 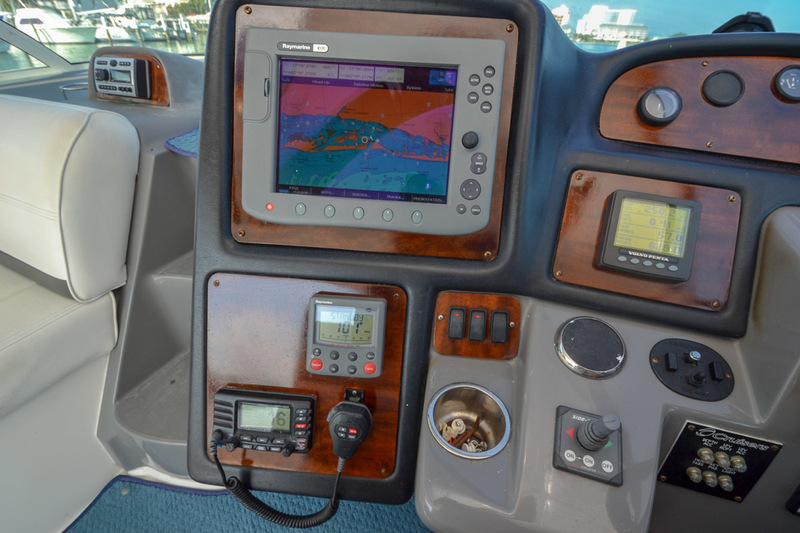 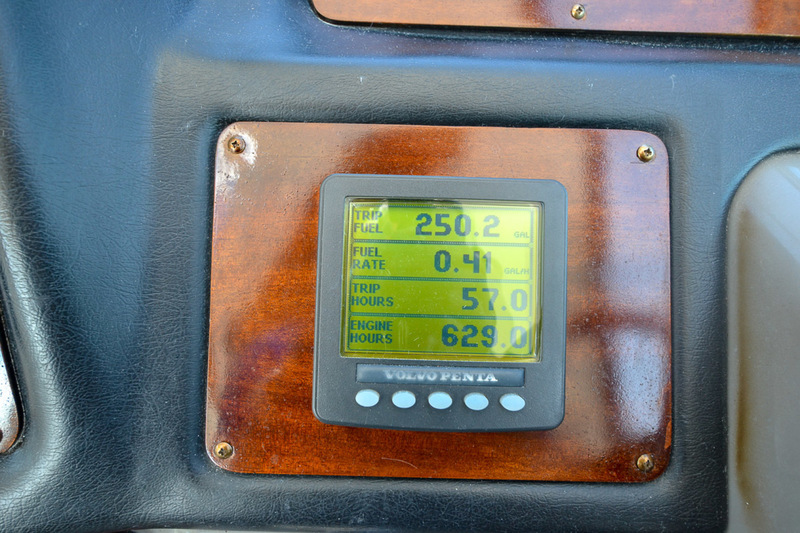 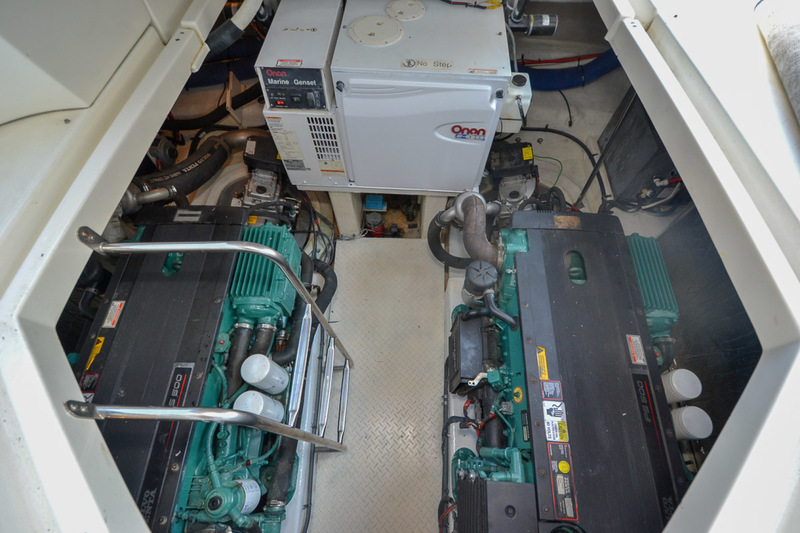 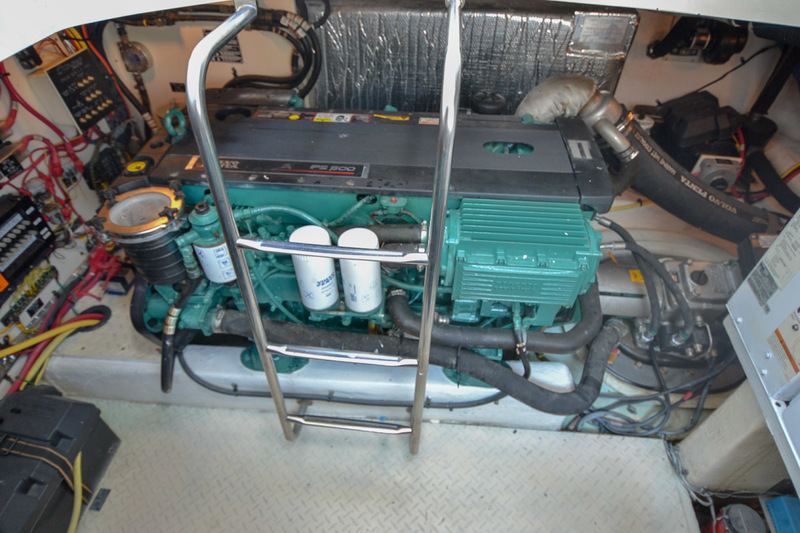 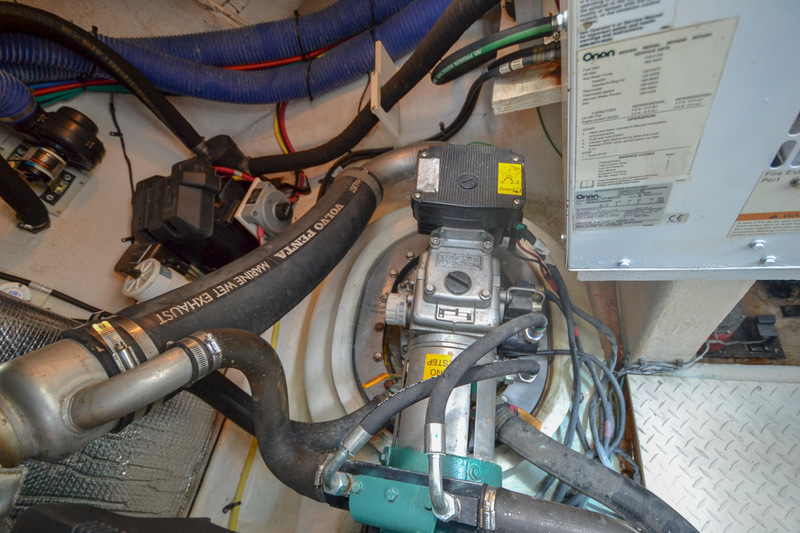 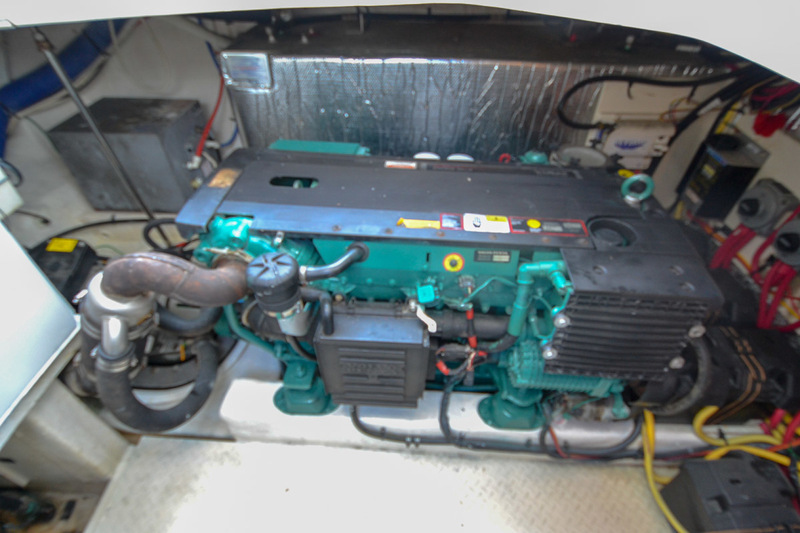 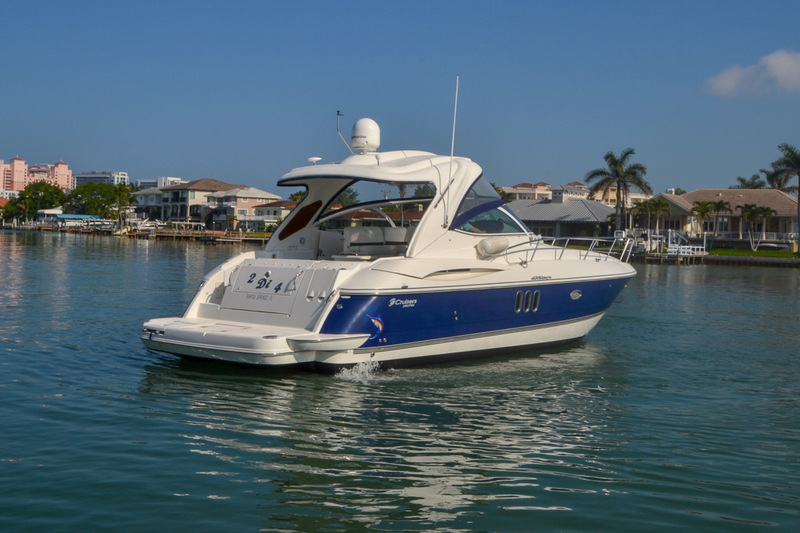 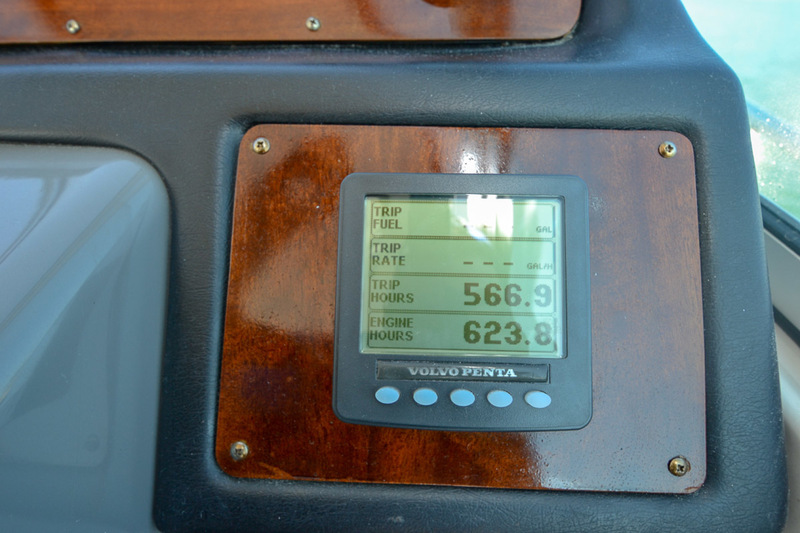 This 420 Express is powered with Volvo Penta D6 IPS Non-Joystick 370hp IPS pod drives cruise at 23 knots.